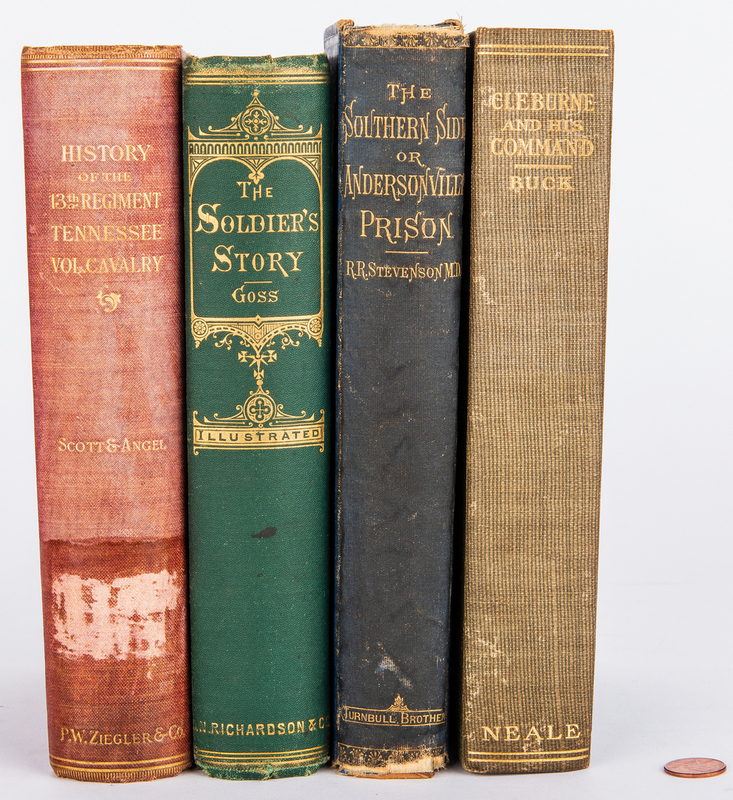 Four (4) Civil War related books. 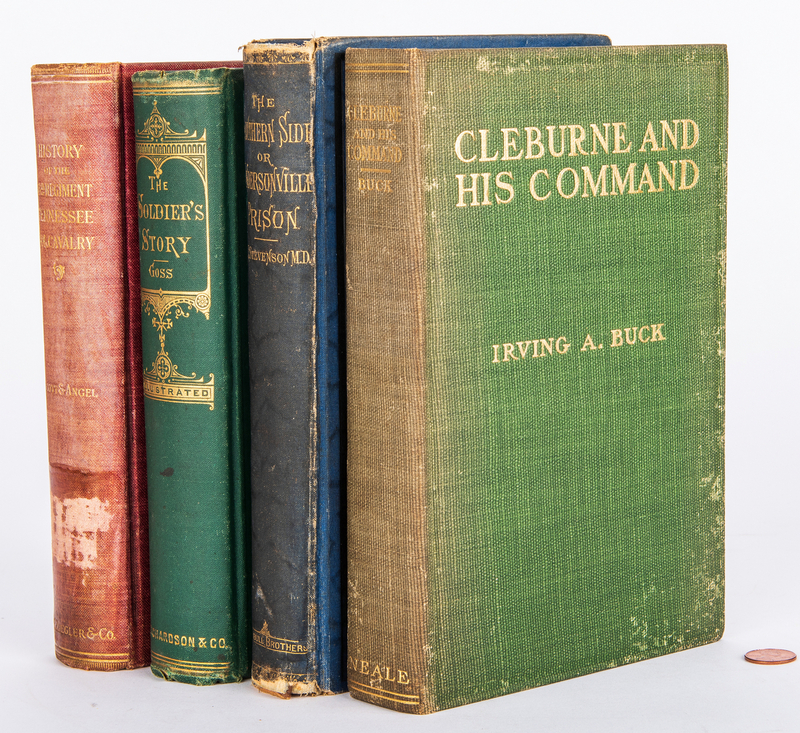 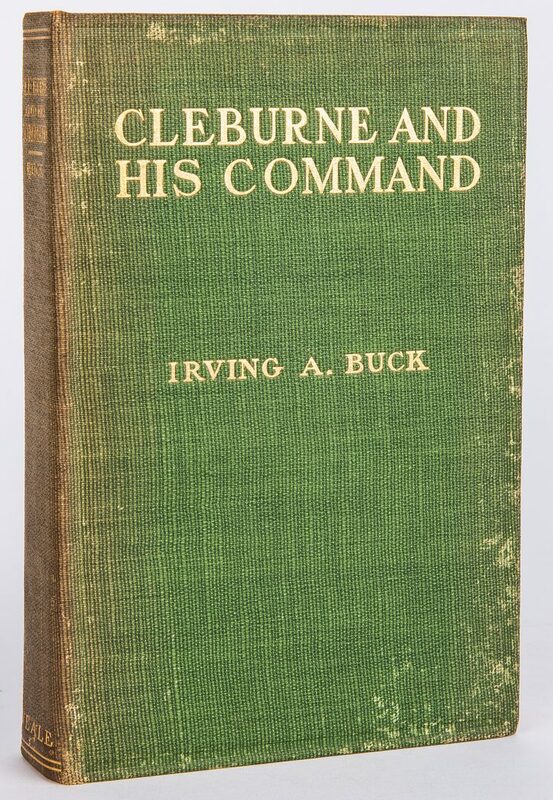 1st item: Cleburne and His Command, 1st Edition, by Irving A. Buck, 1908. 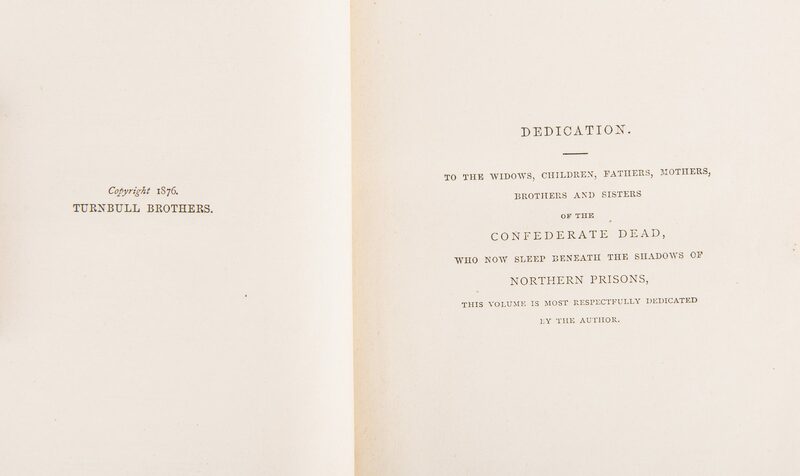 Published by the Neale Publishing Company, New York and Washington. 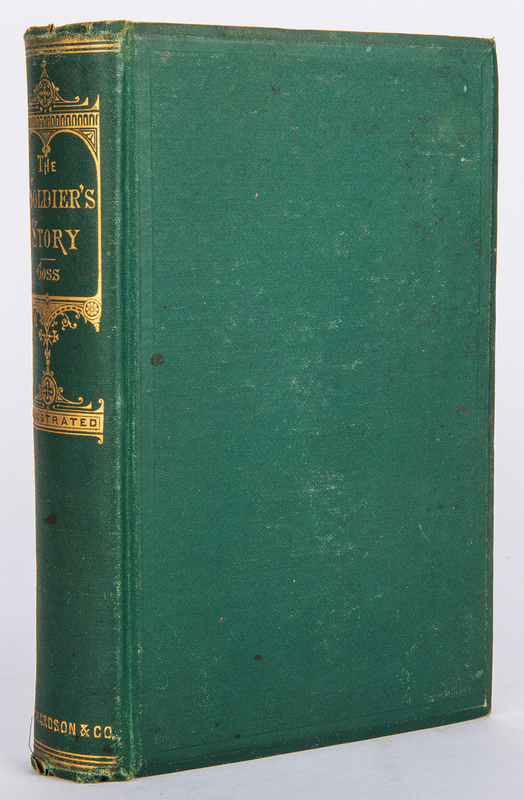 Octavo, 382 pages including appendices and index, steel engraved frontispiece with six illustrations, hardbound in tooled green cloth covers with gilt lettering to covers and spine, gilt top edge paper. 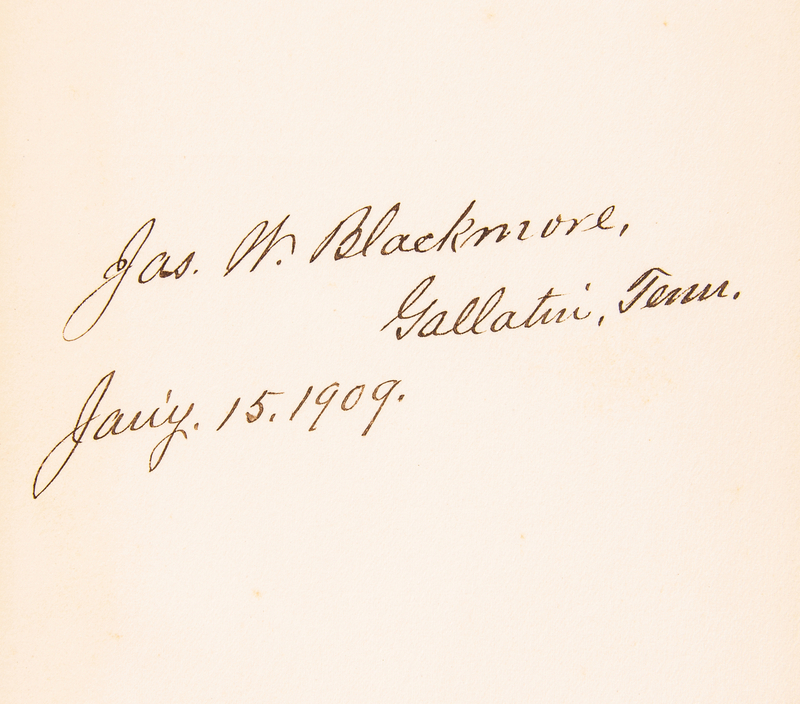 Inscribed and dated by James W. Blackmore of Gallatin, Tennessee, January 15, 1909, front end paper. 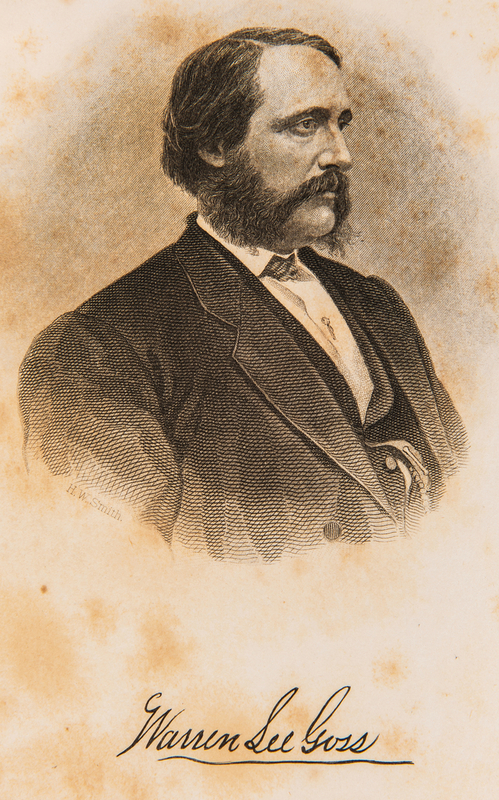 9" H x 6" W x 1 3/4" D. Note: James W. Blackmore (1843-1914) was a lawyer and a Tennessee State Senator, 1873-1887. 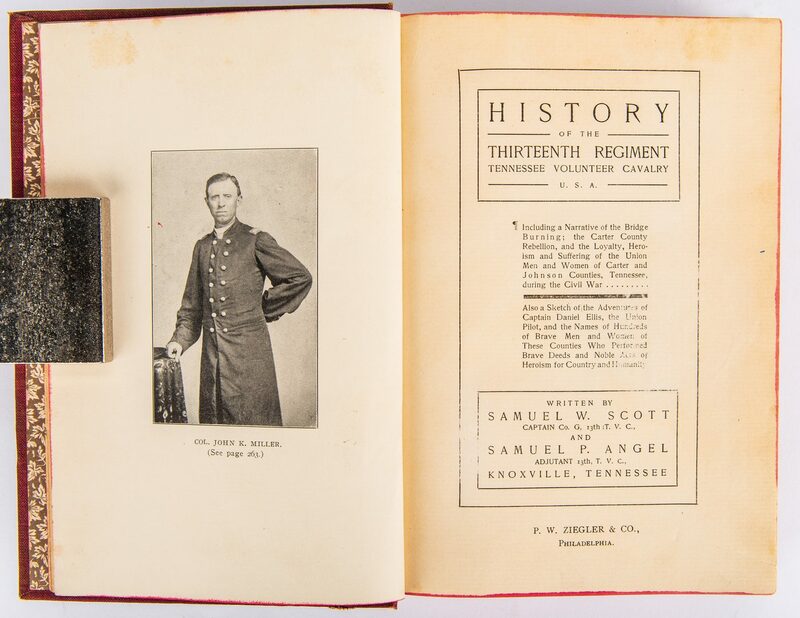 2nd item: History of the Thirteenth Regiment Tennessee Volunteer Calvary U.S.A. by Samuel W. Scott and Samuel P. Angel, 1903. 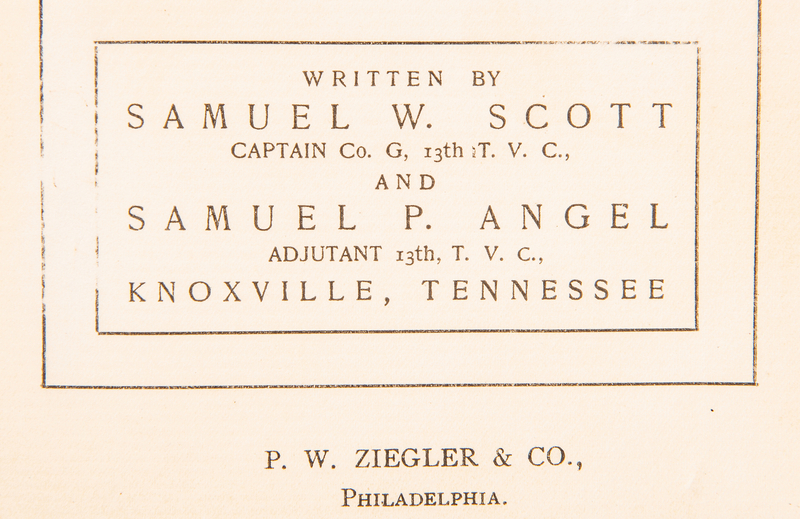 Published by Peter W. Ziegler and Company, Philadelphia. 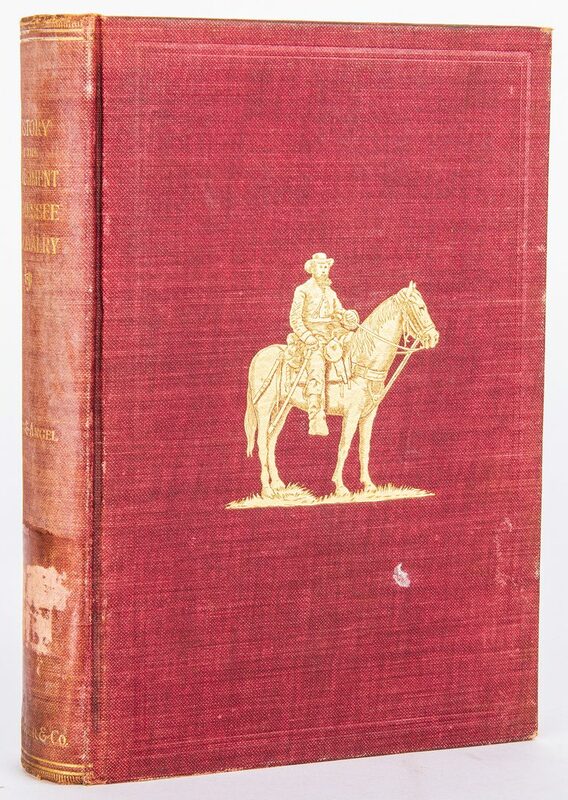 Octavo, 510 pages with illustrations, hardbound in tooled red cloth covers with gilt lettering and pictorial design to covers and spine, brown floral pattern end papers. 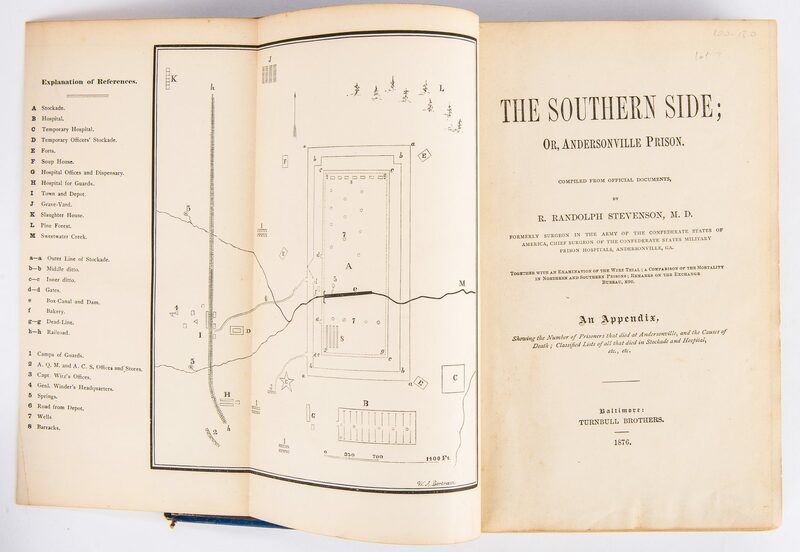 8 7/8" H x 6 1/2" W x 1 7/8" D. 3rd item: The Southern Side; Or, Andersonville Prison by R. Randolph Stevenson, 1876. 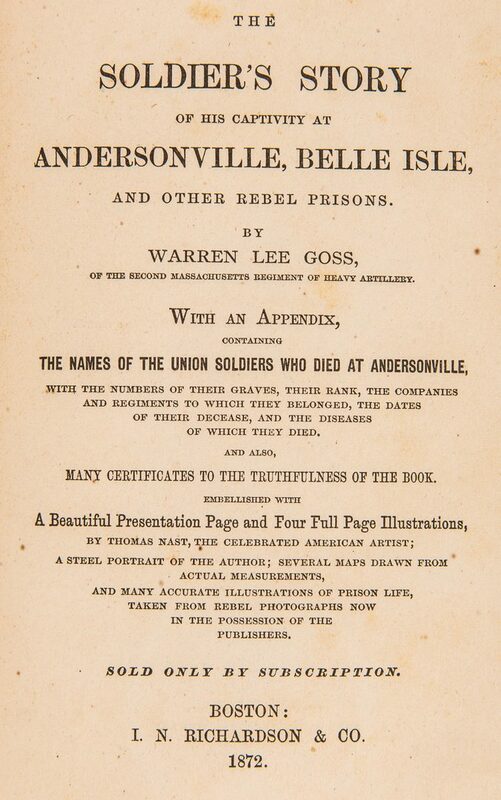 Published by the Turnbull Brothers, Baltimore. 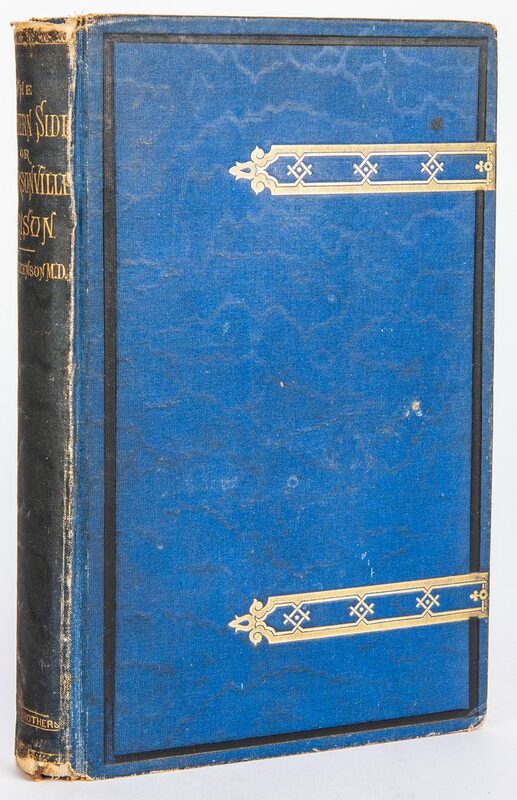 Octavo, 488 pages including appendix and illustrations, folding frontispiece map, hardbound in tooled blue cloth covers with gilt and black lettering and pictorial design to covers and spine, brown end papers. 9 1/4" H x 6 1/4" W x 1 1/2" D. 4th item: The Soldier's Story of His Captivity at Andersonville, Belle Island, and Other Rebel Prisons by Warren Lee Goss, 1872. 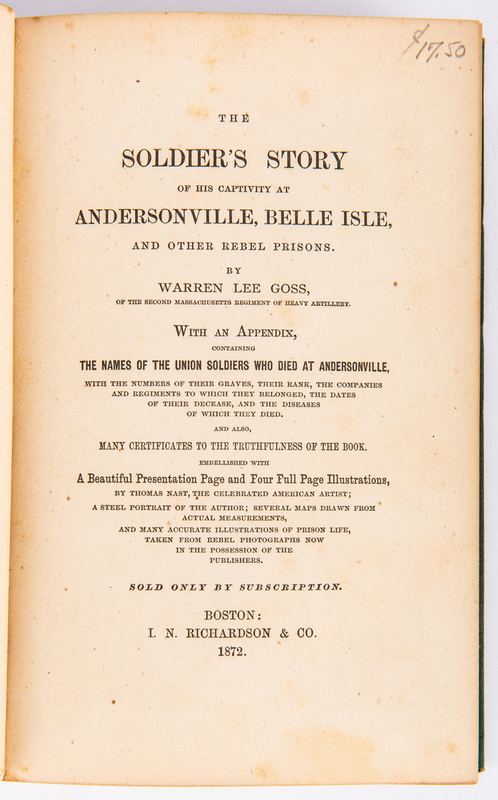 Published by I. N. Richardson and Company, Boston. 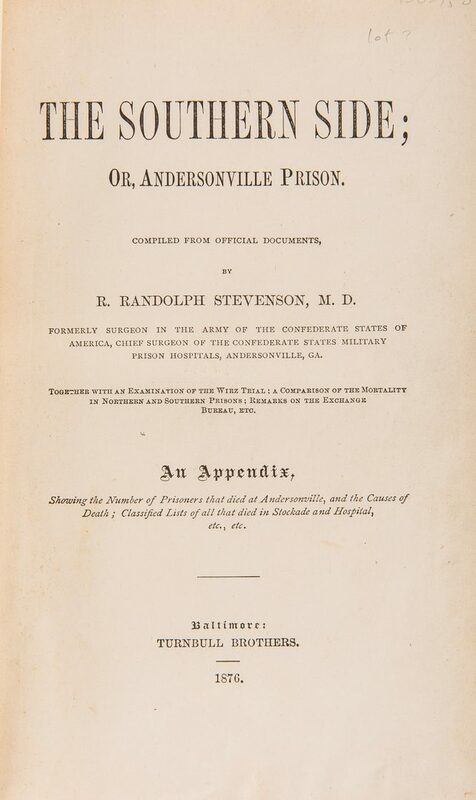 Octavo, 357 pages including appendix and illustrations with fold out map of prison, steel engraved frontispiece of Goss and presentation page, hardbound in tooled green cloth covers with gilt and black lettering and pictorial design to spine, brown end papers. 8 3/4" H x 6 1/8" W x 1 3/4" D. Provenance: The collection of internationally known ragtime pianist and music historian Johnny Maddox, Gallatin, TN. 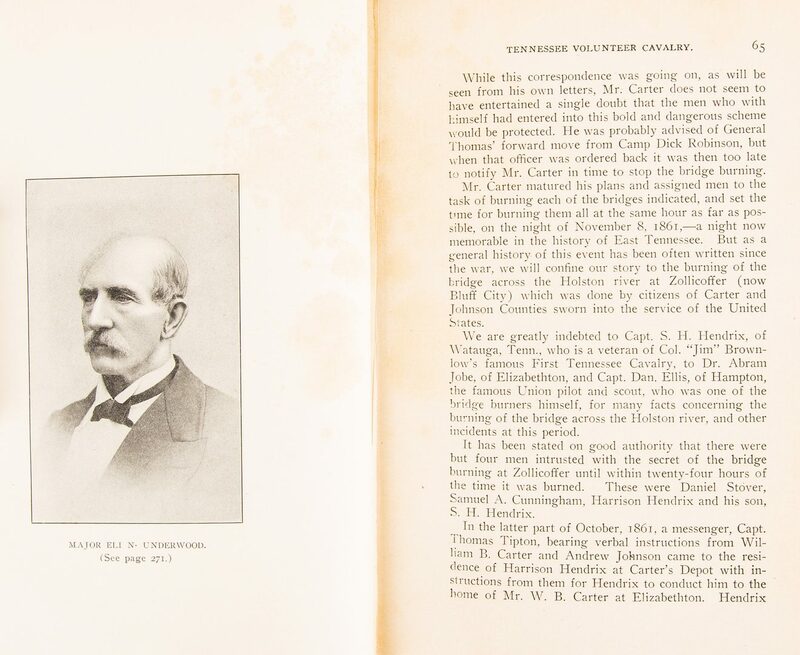 CONDITION: 1st item: Overall good condition with fading, shelf wear, to covers. 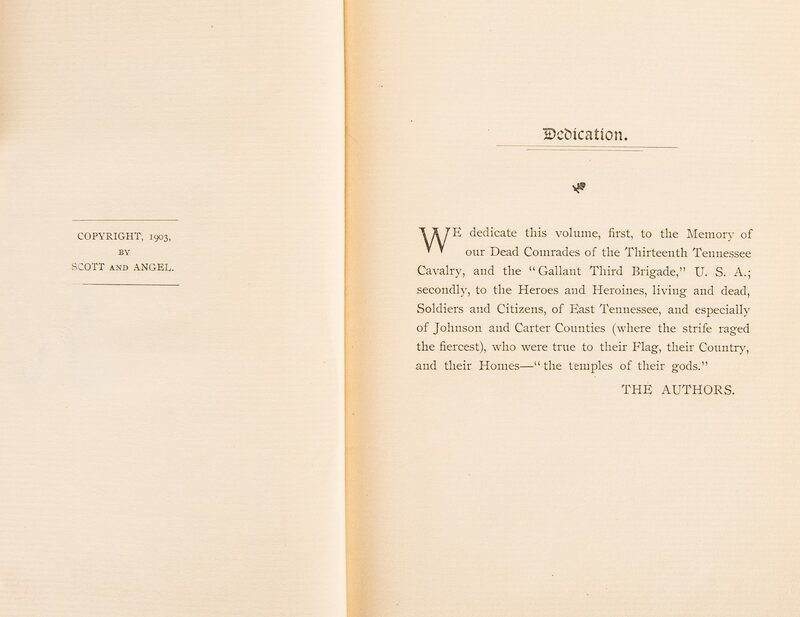 Heavy foxing spots to first few pages including frontispiece and presentation page. Majority of pages in overall very good condition. 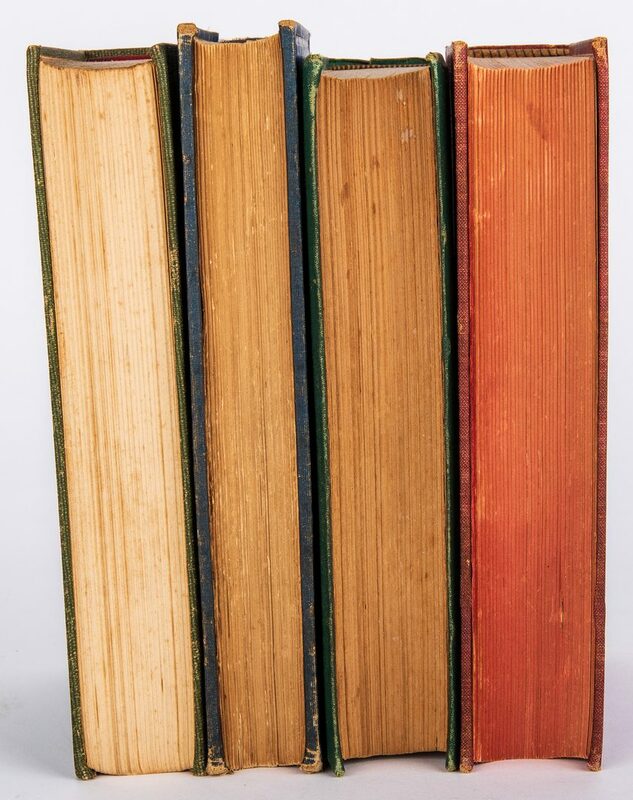 2nd item: Overall good condition with fading, shelf wear, bumped corners, to covers. 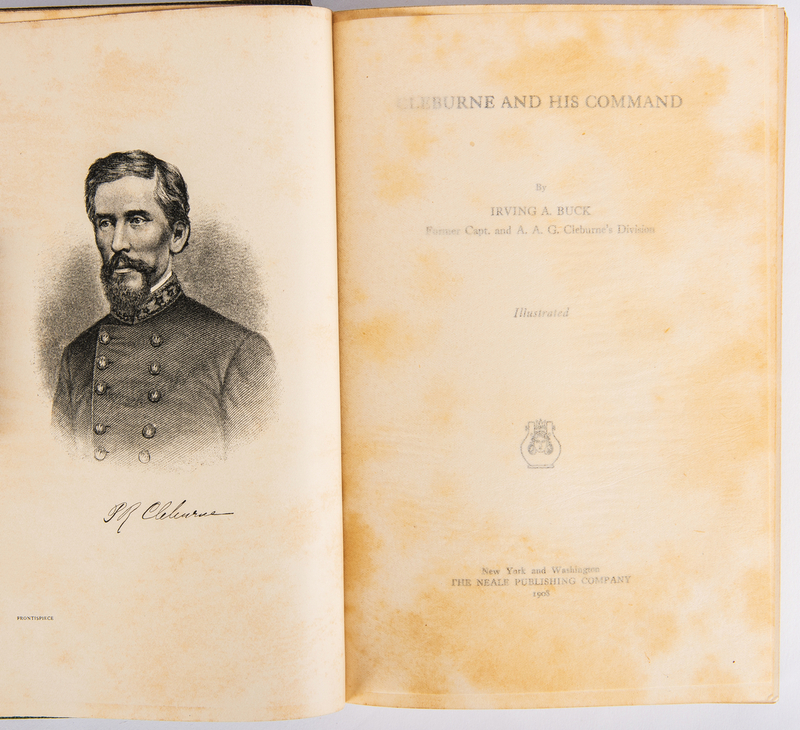 3" x 2" area of residue, likely from library label, to spine. 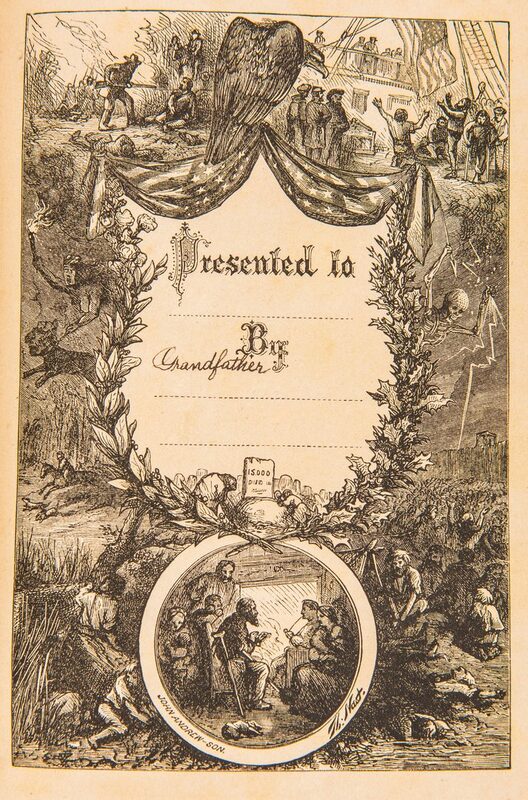 Areas of loss, paper residue, largest 3" x 1 1/2", brown floral pattern end papers. Pages in overall good condition. 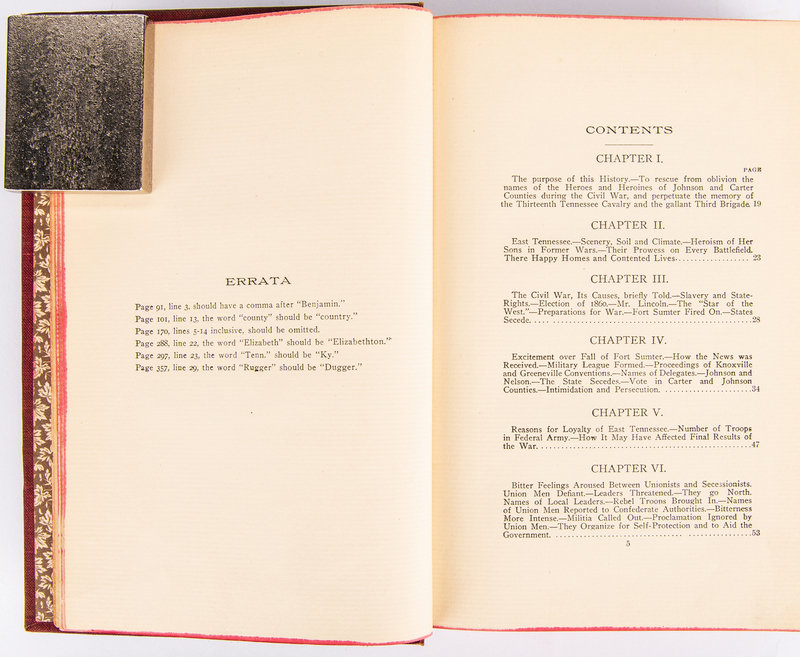 3rd item: Overall good condition with fading, shelf wear, bumped corners, etc., to covers. 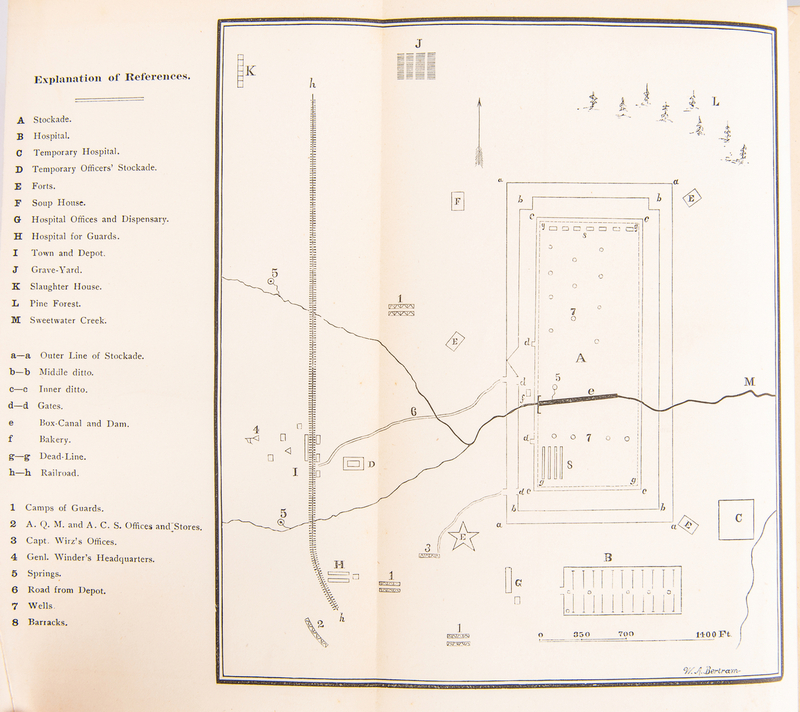 1/4" x 1 1/2" area of loss to top and bottom of spine. 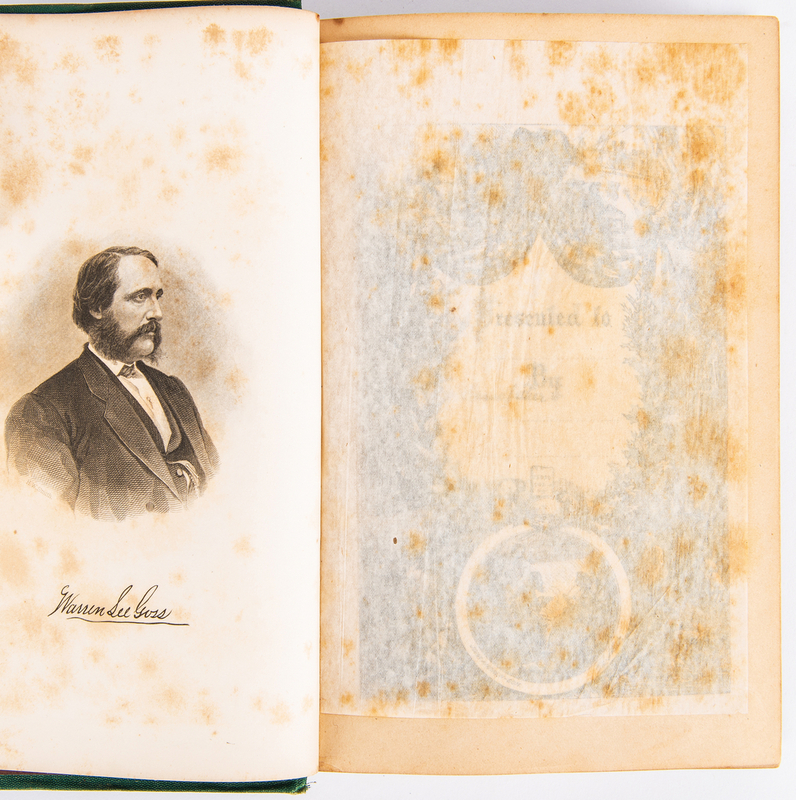 Majority of pages in overall good condition with light toning, foxing spots, areas of dampstaining, first and last few pages including map. 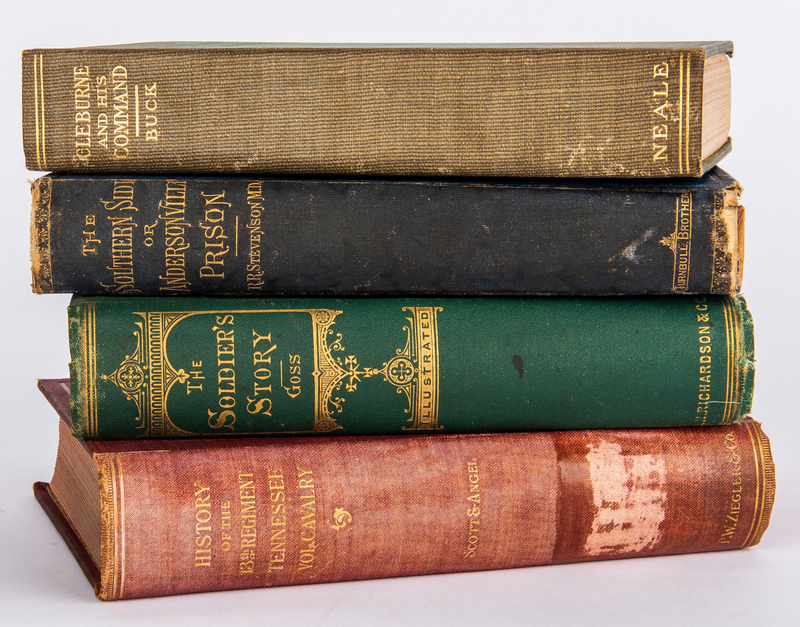 4th item: Overall good condition with fading, shelf wear, bumped corners, etc., to covers. 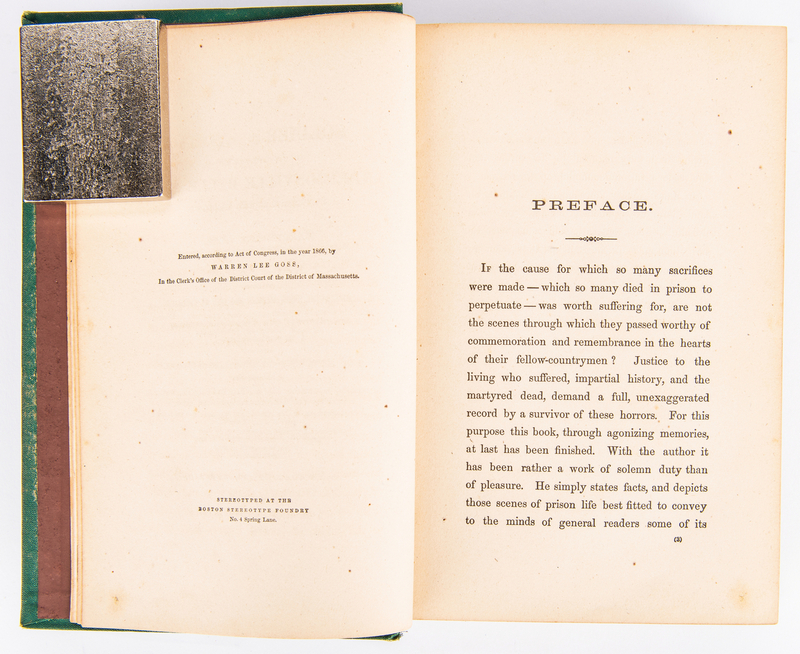 Heavy foxing spots to first and last few pages including frontispiece and presentation page. 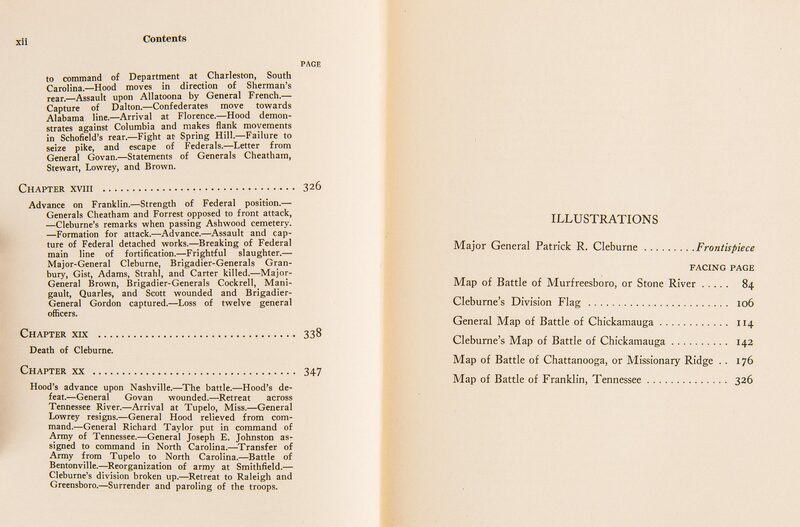 Light to moderate foxing spots to majority of pages including map.